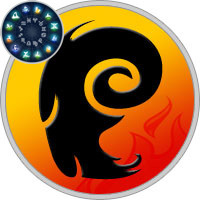 As an Aries born on April 4th, your personality is noted for creativity, vigor and ambition. Amongst your greatest strengths is your creative mind, which you use in all aspects of life. Socially, your creativity gives you a great sense of humor and subsequently has earned you many friends. In your work, you use your creativity to find solutions and solve problems. When paired with your ambition, this quality makes you destined for success, which is appropriate because you set very high goals for yourself. Fire is your sign’s elemental pair and of all the zodiac signs, you have the only fundamental relationship with the element. Your special connection with fire gives your personality the self-starting and initiating qualities of a growing flame. Additionally, it is the influence of fire that creates a burning passion deep within your being. When something strikes your interest, your flame burns with even more fortitude as you work to meet your goals. Embracing fire’s positive qualities will play a key role in future successes, as long as you avoid the impatience and impulsiveness that plagues all fire signs. Your sign is under the planetary ruler of Mars, but as you were born in the second Decan, or part, of the sign, you also receive a helping of the Sun’s mysterious power. The influence of Mars can be witnessed in your action, vigor and courage, but it is the Sun’s power that is reflected in your inspiration, willpower and creativity. Your special blend of planetary influences makes you the most charismatic of all the Aries Decans. When paired with your creativity, your unique brand of charm has made you quite popular throughout life. You love being the center of attention and at times, this may make you boastful. In love, find a partner that shares in your energy and passion, but helps you develop your humility.